With mobile cloud storage, mobile users can enjoy the advantages of both mobile networks and cloud storage. However, a major concern of mobile users is how to guarantee the integrity of the remote data. 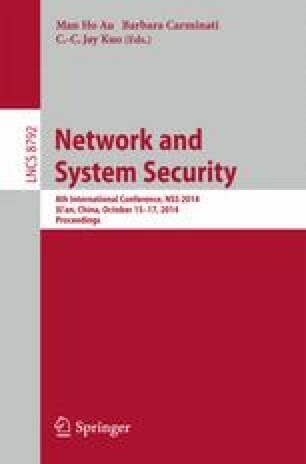 Taking into account the mobility of mobile devices, in this paper, we propose an identity privacy-preserving public auditing protocol in mobile cloud storage for dynamic groups. In our proposal, a dynamic group key agreement is employed for key sharing among mobile users group and the idea of proxy re-signatures is borrowed to update tags efficiently when users in the group vary. In addition, the third party auditor (TPA) is able to verify the correctness of cloud data without the knowledge of mobile users’ identities during the data auditing process. We also analyze the security of the proposed protocol.